As a specialist trade partner, we are only successful if you are one of them. That is why our service goes beyond selling. 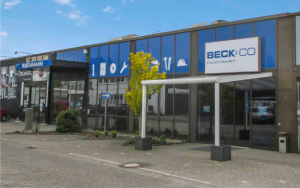 Beck offers you a wide variety of manufacturers, brands and services. This presupposes extensive specialist knowledge on the part of our employees, which is continuously expanded by training courses. This is the only way for Beck to be able to work with you as an independent consultant to find the optimum solution for your needs. When selecting partners and manufacturers, Beck relies on renowned brands and suppliers of niche products that guarantee you maximum quality and innovation. Full-Service-Provider: tools, machines, precision-, clamping- and measuring technology, workshop requirements, occupational safety and much more. Global Contact: with our expertise, market proximity and customer orientation we are on site for you. Problem Solver: thanks to a large network, we will find the optimal solution for you. Individual Logitics Concepts: procurement, organisation and planning, all from one source. Servics: services such as grinding, calibrating and repairing are a matter of course for us. E-business: process-optimized procurement solutions tailored to your needs. Branded Products: high-quality products are a must for us, selected brand manufacturers are our partners. Field Service Competent and flexible. With on-site support by our more than 70 employees in the sales department, we are in constant contact with our customers, intensify the cooperation, support you with advice and practical help and technical competence and thus prove our efficiency on a daily basis. Internal service Only satisfied when you are satisfied. We achieve closeness to the market, flexibility and adaptability with well thought-out team organisation and customer-oriented action. Qualified advice, fast availability and prompt processing of your enquiries are our plus points. Application engineer and consultant Individual advice for more performance and safety. We support you! As a specialist consultant in the field of precision and machining technology for individual requirements and problems. When it comes to your personal protective equipment (PPE), a competent team with expert knowledge is at your side. Safety tests for access technology and fall protection are also part of our service portfolio. Even your planning of the optimal workshop, warehouse or office equipment is supported by our consultants. System consultants and service technicians are available to help you implement your locking system projects successfully. The transport within Germany is free of charge for parcels with a value of goods exceeding 150.00 € or for freight forwarding freight free place of delivery including packaging. Bulky or heavy goods and dangerous goods are excluded from free delivery. Delivery ex works, freight forward, plus packaging. Orders under 150.00 € will be charged with shipping and handling costs of 7.95 €. Safeguarding and increasing the quality of products/processes. 02_2018 E-Scanning - Optimizing processes through intelligent procurement. For mobile data acquisition you only need our intuitive and robust eScanner and the barcode of the products you wish to order. This simplifies your day-to-day work in your logistical processes during order entry and transmission. Scanning the barcodes avoids errors that can occur during manual capture and provides accurate documentation. The reduction of manual effort brings temporal benefits that can be used elsewhere. You scan the barcode (available on almost all products), transfer the data online or via a USB port to your computer, directly into the shopping cart. Now just click on “order” and the goods are already on their way to you! You do not have access to our online shop yet? Talk to your client advisor! From now on you will find us with current topics and great offers, competitions and more. 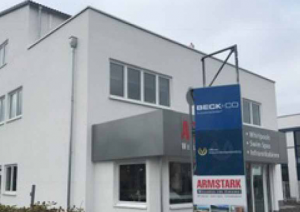 Since June, we are also represented in Karl-Benz-Straße 6 in 73312 Geislingen an der Steige with a new competent team. Our location at Erftstraße 36 in 41238 Mönchengladbach has moved to Friedrich-Ebert-Str. 9 – 11 in Korschenbroich. Discover our modern specialist market with a well-assorted assortment. 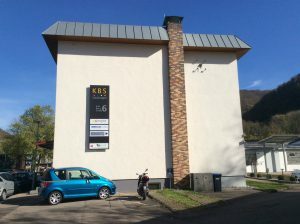 Since 01.01.2017 we are also present at August-Thyssen-Straße 17 in 56070 Koblenz with a new and competent team. We are looking forward to starting the new year 2017 together. 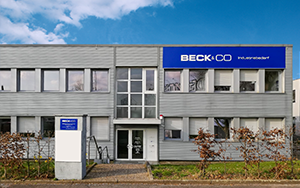 Since 01.10.2016 Beck & Co is supported by a new competent team in Dortmund. The new location is located at Wulfshofstraße 14 in 44149 Dortmund. Our years of experience and the pleasant working atmosphere characterize us as an employer.Flat hierarchies and individual support enable individuals to continuously optimize their skills and successfully integrate them into the company. We set high priority in a fair and respectful interaction with each other. Convince yourself of our varied and exciting fields of activity and become part of the Beck & Co. team.